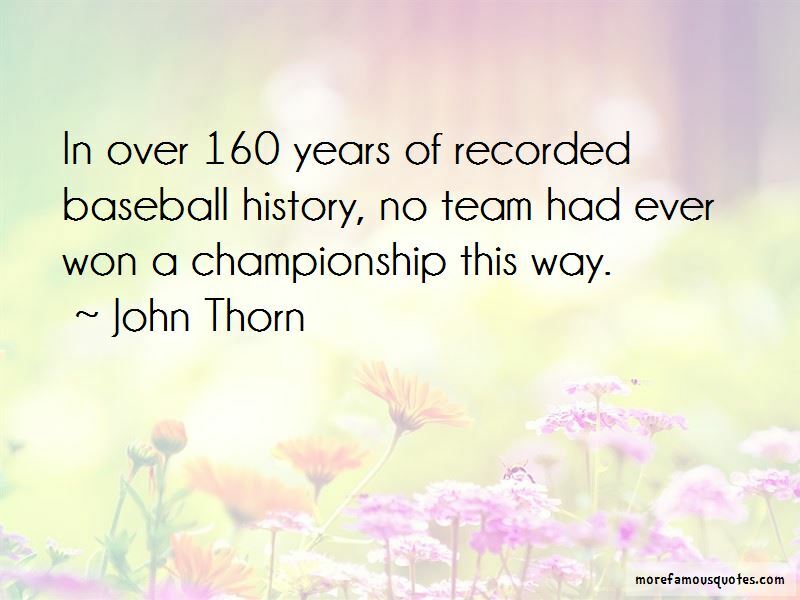 Enjoy the top 42 famous quotes, sayings and quotations by John Thorn. Keep score, which is what the Talmud recognizes as a distinction between work and play that renders a game unfit for the Sabbath. It says, I think, that at root that we're children, or we'd like to be. 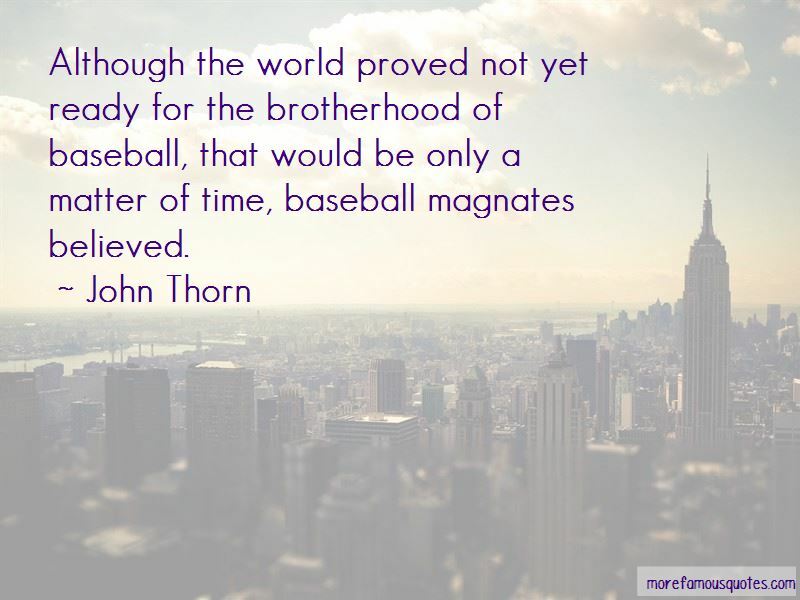 And the best of us each keep as much of that childhood with us as we grow into adulthood, as we can muster ... And even after we're past the point of being able to play the game with any skill, if we love it, then it's like Peter Pan - we remain boys forever, we don't die. 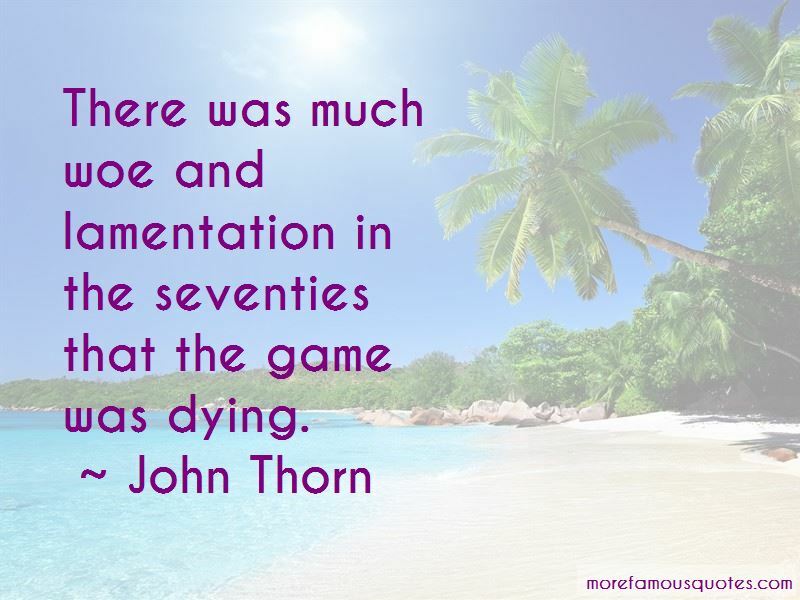 Want to see more pictures of John Thorn quotes? 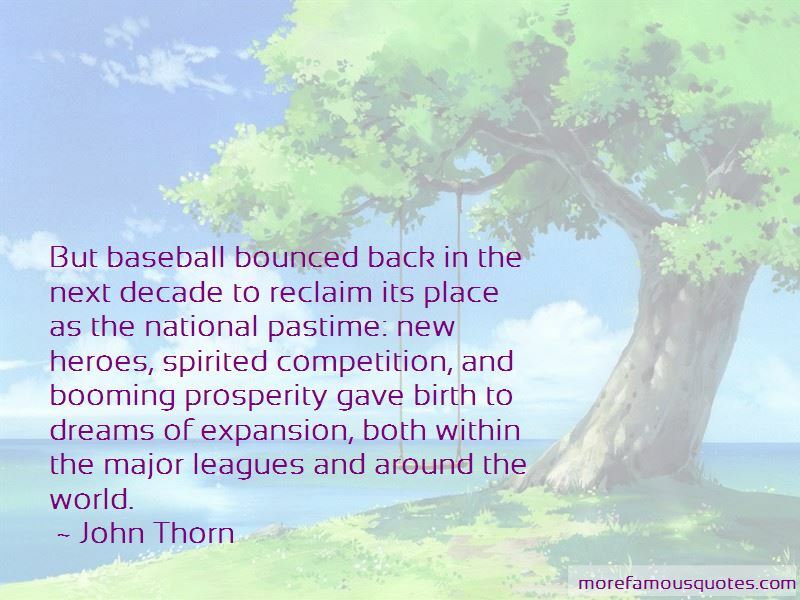 Click on image of John Thorn quotes to view full size.